It’s simple really, front doors are an essential part of your home. Both visually and practically, they offer security and are key to making a first impression on visitors to your home. You can keep visitors in front of a little while longer with the right door! Not only that but there’s many other benefits to having a modern front door. Whilst there are many different types of doors you can install on your home, they differ greatly in terms of quality, security and longevity. Having an issue with your front door is a stressful, frustrating process – whether it be security issues, poor insulation costing you money or the need for an early replacement. 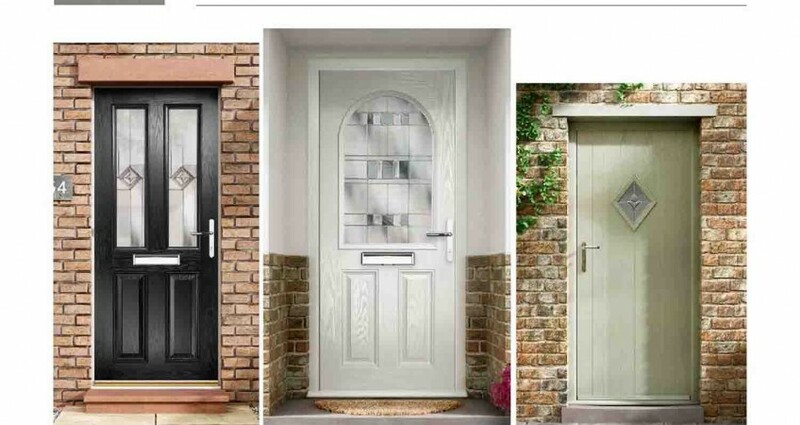 What makes the composite door better than its alternatives in all of these areas? UPVC is the material often used in home improvement products. Its benefits include high weather resistance and a long lifespan with not much maintenance. These doors however are thin and are far less secure than composite doors. Hardwood doors are the traditional choice. They’re very strong which means they offer security and insulation. Unfortunately to get these benefits they require high maintenance in the form of regular vanishing, painting and weather sealing. The contemporary composite door on the other hand has the benefits of both, with none of the negatives. They’re made of multiple different materials – designed to give great strength, durability and looks. The core can even contain wood and other materials, giving you the strength and insulation properties of the hardwood door with none of the maintenance needs. The composite door is however slightly more expensive than it’s alternatives, but it’s more than worth it in giving you peace of mind in terms of security – as well as allowing you to just enjoy your front door. Contact us now to get a quote for your fitting, we have many different options available, you can do this through our contact form or call us on 01162 849888. There’s also more information on our composite door. We have a large range of styles available.